Fans of Mrs Brown’s Boys were devastated to learn that the comedy show could be facing the next year, according to creator and actor behind the show’s frontwoman, Agnes Brown. The show first aired on the BBC back in 2011, therefore enthusiasts are devastated that this Christmas may be the time to say goodbye to the much-loved characters if all doesn’t go well in the next two years. Brendan has said that he would prefer to try out new career experiences and instead of carrying on filming for the comedy sketch, has plans to focus on the talk show All Round to Mrs Browns. However, Brendan always said that when the time comes to say goodbye to Mrs Brown, it would be filled with “heartbreaking” scenes and that the iconic ‘mammy’ whom we have all grown to love over the past seven years may well be killed off. As there have been talks on pulling the plug on the show once and for all, fans are wondering how Agnes will meet her tragic end. When is Mrs Brown’s Boys said to be coming to an end? Back in May, Brendan claimed the BBC was soon to be on his case, to see if he had any ideas in mind for the 2018 Christmas special. “The BBC will be ringing in about four weeks’ time. ‘How we doing? How we looking? We just want to know what design the Christmas tree is going to be, what extra stuff we’ll need’. I’ll go, ‘Yeah, well, I’m working on it’.” he joked. He also confessed that he just can’t believe how well the show has been received over the past few years, in which it is now being viewed from all over the world. Brendan did go on to mention that the spin-off series is set to be very similar to the original show anyway, so fans shouldn’t worry too much about missing out. “It’s becoming more of a sitcom and more of our characters are creeping into the show” he said. 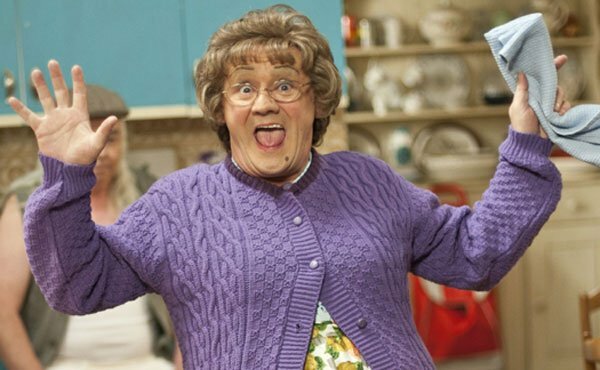 This isn’t the first time Mrs Brown’s Boys has been rumoured to be axed though – but fear not, it’s not going to be happening in the near future; or Brendan O’Carroll doesn’t think so anyway. Earlier in the year, the show suffered a bit of a hit when fans were outraged by the fact that Rory was going to be replaced. On the New Year’s Day special last year, fans called for Damien McKiernan who took over the role from Rory Cowan to be sacked, after he embarrassingly forgot his lines. Even last year, the future of the series wasn’t looking bright when Brendan, his daughter Fiona Delany and husband Martin were accused of withholding roughly £2 million in a tax avoidance scheme. Back in May, Brendan spoke to The Sun about the alleged scandal: “It was just three actors. They did nothing illegal. They did absolutely nothing illegal. He then joked: “We went back out on stage a week after and the audience stood up and clapped, thinking we were out dodging tax! We hadn’t. We pay a fortune in tax. “Don’t axe Mrs Brown’s Boys, it’s the only laughter on telly apart from Still Game and they are pulling the plug. We look forward to watching the Christmas episodes every year and it would be very much missed”. “Rubbish like so many ‘comedies’ these days.. either ideas have run dry, and jokes have been used up.. or it’s because people are scared of offending someone”. “Why axe the most funniest show on tv? We have the right to stand by Mrs browns boys and say don’t axe Mrs Brown’s Boys”.